Martin (pronounced Mar-teen) Cardenas grew up outside of Medellin, Colombia, and started racing motocross when he was 11 years old. He started winning races right away on 80cc machinery. Two years later, in 1995, he went to race a 125, but he was not old enough according to the regulations. So he took his 80, bored it out to 105, beat everyone in the 125cc class and won the championship! Cardenas repeated as champion the following year on a real 125cc machine. He continued to win championships in motocross over the next few years, and in 2000 came to the U.S. and raced selected rounds of the AMA series. In 2001, Martin traveled to Spain for a road race tryout in the competitive CEV National Series, and with a good result landed a ride for the 2002 season. For 2003, Martin earned a ride with the Luis d’Antin Yamaha team in the Spanish series, finishing 7th, while also winning the Latin American Supersport Championship in Colombia. He earned the Supersport Championship the following year in the CEV series with the Promo Racing team. Cardenas made his debut in the MotoGP 250cc World Championship class in 2005 with teammate Chaz Davies on the Aprilia Germany team, scoring points in enough events to be offered a ride on one of the top Spanish teams. The 2006 250cc Grand Prix season saw Martin start with the private Wurth Honda BQR team, but he was offered a ride with the factory Repsol Honda team when fellow South American Sebastian Porto retired. Unfortunately, Cardenas crashed during the first race weekend and broke his collarbone. He raced several more events, but the collarbone never healed correctly and he was unable to ride at full strength. Martin moved to the U.S. when a friend of his offered him a ride on a Kawasaki ZX-10R in the AMA Superstock Series. He competed on it in the first three events, but switched to a 600 at the Infineon Raceway event, and was offered a ride to fill in for Michael Barnes when Barnes crashed and broke his wrist on Saturday of that event. 2009 proved to be a breakthrough year for Cardenas, winning seven races – more than anyone else in the class and finishing third overall. Martin won at Road Atlanta, both rounds of the doubleheader at Barber Motorsports Park and backed that up by winning both rounds at Infineon Raceway. 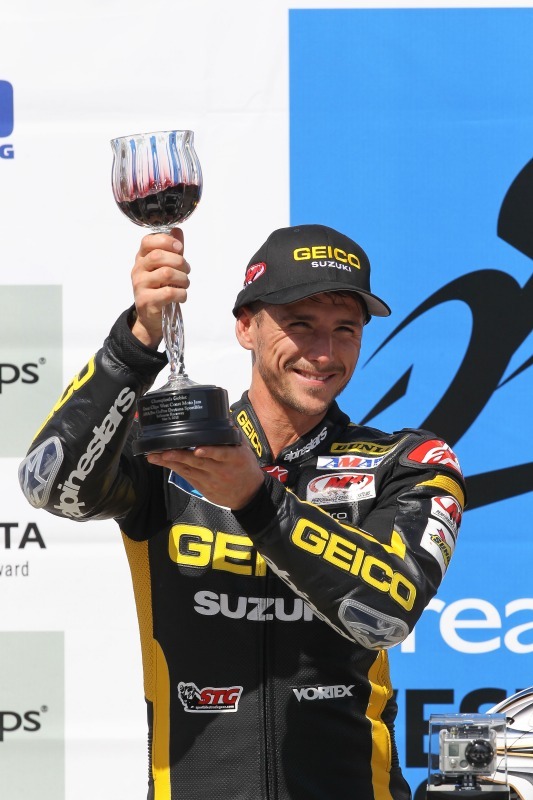 Cardenas won again at Road America, put the Team Hammer M4 Suzuki on pole at Mazda Raceway Laguna Seca in front of the MotoGP crowd, and then won again at Heartland Park Topeka. Cardenas added three more podium finishes, and ended up third in the points standings after an injury forced him to sit out the final round of the season. 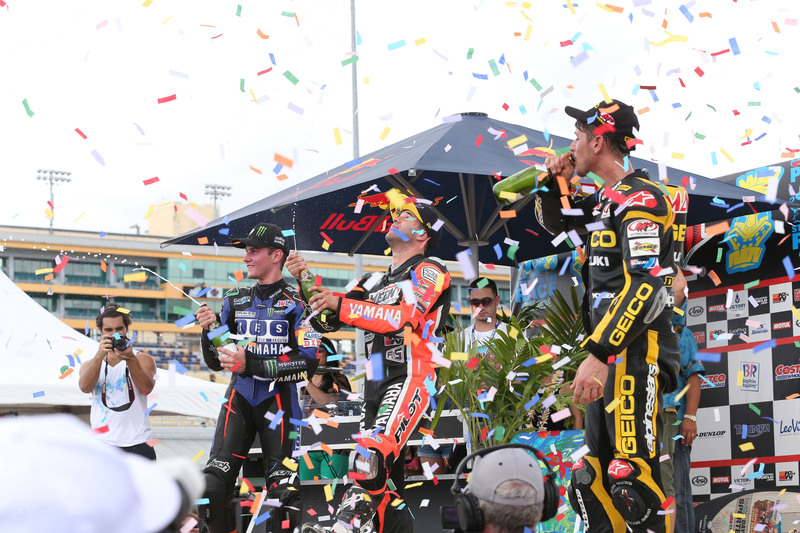 The 2010 AMA Pro Racing season was even better for Martin, who won the 2010 AMA Pro Racing Daytona SportBike Championship with a record nine victories in 18 races, along with a total of 13 podium finishes. In 2011, Cardenas received a new challenge, the AMA Pro Superbike class. Quickly adapting to the 1000cc formula, the Colombian quickly became one of the contenders for race wins. Regarded as one of the paddock’s best riders, it was no surprise when Cardenas made the podium but to do it by the third race of the year at Infineon Raceway was a testament to his abilities and determination. He then topped that with a victory at Barber Motorsports Park. That win was a tough fight in difficult conditions. After he made it to the front, Martin fought off a challenge and managed to take the victory with another rider on his tailpiece for the final laps. Cardenas earned a remarkable fourth place in the 2011 Superbike points on the basis of his nine top-5 results in 13 races, and was named Most Outstanding AMA Pro Road Racing Rookie by Speedtv.com. But that success was tempered by economic realities, manifested by the team failing to find the sponsor support needed for another Superbike campaign in 2012. 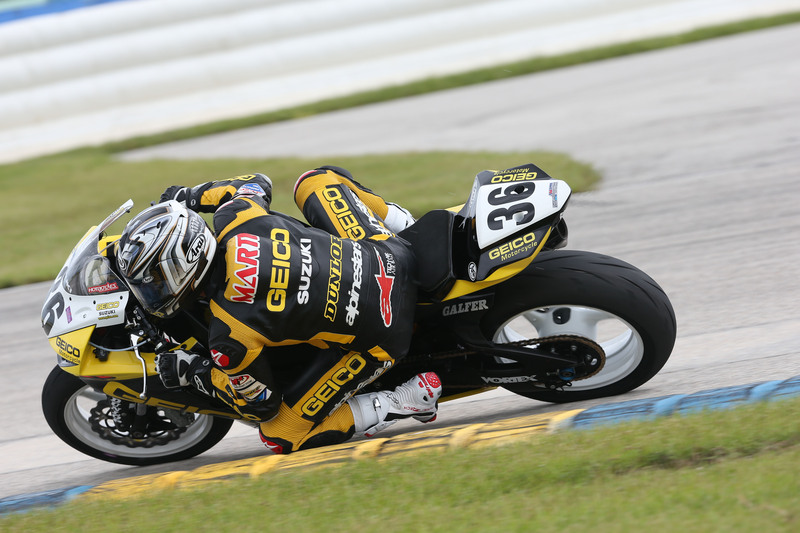 Facing reality, Cardenas agreed to return to the AMA Pro Daytona SportBike class and accepted a fully funded ride with GEICO Suzuki, which contracted Team Hammer to provide technical and logistical support for the 2012 AMA Pro season. 2012: Signed with GEICO Suzuki and returned to AMA Pro Daytona SportBike class, where he had already won a record 16 times. Started the 2012 season by winning the pole for the Daytona 200 and earning a Rolex watch. 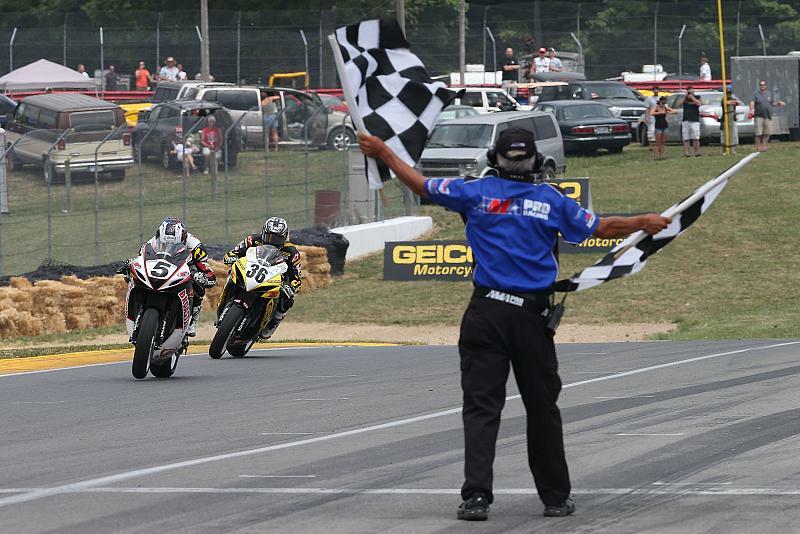 2011: Won at Barber Motorsports Park and earned three podium placings on the way to fourth in AMA Pro Superbike points. Was a mainstay at the front, finishing fifth or better nine times. 2010: Won a record nine of 18 races and the 2010 AMA Pro Daytona SportBike Championship. Scored a total of 13 podium (top-3) finishes during the season. 2009: Won seven AMA races – more than anyone else in the class and finished the season third in the points standings after an injury forced him to sit out the final round. 2008: Had five AMA Podiums, and finished 4th in the Daytona 200. Ended 2008 7th in Formula Extreme and 11th in Supersport after missing four rounds due to injury. 2006: Started his second season in the 250cc World Championship, but a broken collarbone eventually ended his season early, creating the opportunity that brought him to the U.S. in 2007, where he attracted the attention of Team Hammer. 2005: Earned a ride in the MotoGP 250cc World Championship, and several strong rides in the super-competitive series tallied enough points for many teams to consider him for the following season. 2004: Won the Spanish CEV Series Supersport Championship. 2003: Earned a ride with a Yamaha team in the Spanish series, finishing 7th overall while also winning the Latin American Supersport Championship in Colombia. 2002: His first full season of road racing was a successful learning year, and earned him a sponsored ride for the following year. 2001: Martin traveled to Spain for a road race tryout at the end of the season, and with a good result landed a ride for the 2002 season. Frank Aragaki may as well have race gas pumping through his blood. He began racing at Willow Springs in 1986 and saw his career progress to racing at the AMA Pro National level on a wide variety of racebikes by the mid-1990s. In 2003, Aragaki was asked if he’d like to move beyond just riding the bikes and use his vast experience building and tuning machines for other riders. Aragaki decided to give it a shot and has seen his life develop another facet as an excellent race mechanic. In 2004, Aragaki joined Team Hammer and worked with Vincent Haskovec, a relationship that carried on into 2005. In 2006 and 2007, Aragaki worked with Geoff May on both his Supersport and Superstock bikes. In 2008, Aragaki worked with Blake Young. In 2009, Aragaki’s expertise was put to the test when he was promoted to the Crew Chief for Jason DiSalvo in the middle of the season. The 2010 season presented a new challenge for Aragaki, as he served as Crew Chief and guided the #21 M4 Suzuki GSX-R1000 Superbike to three AMA Pro podium finishes. 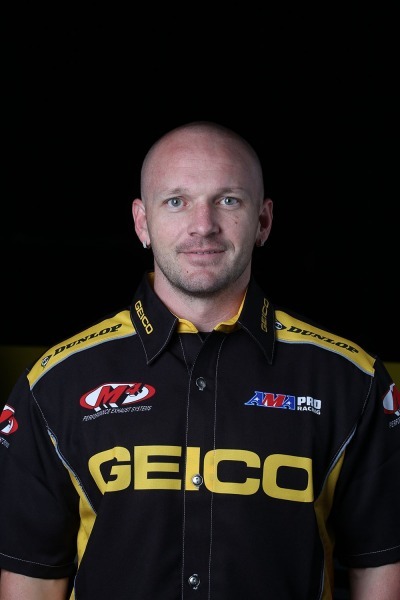 In 2011, Aragaki moved to Alabama and worked in Team Hammer’s Contract Services department, as Crew Chief for Danny Eslick’s #69 GEICO Suzuki GSX-R600 in AMA Pro Daytona SportBike competition. 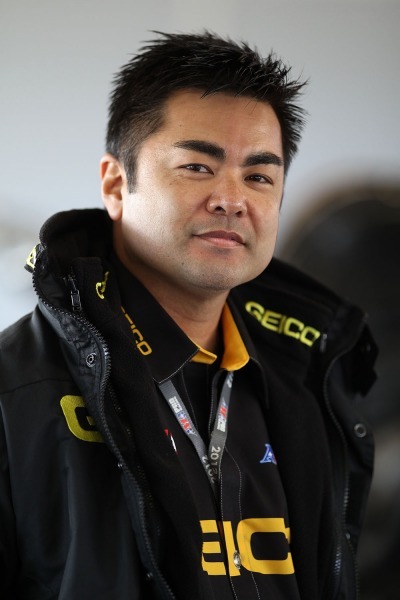 For 2012, Aragaki is the Crew Chief for Martin Cardenas on the #36 GEICO Suzuki GSX-R600 in AMA Pro Daytona SportBike competition. From helping friends with their racebikes as a hobby, Aaron Henry jumped into professional racing with both feet. 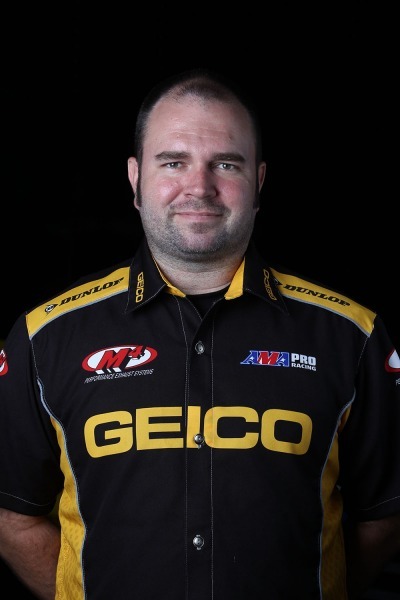 After graduating from MMI as a certified motorcycle mechanic in 2006, Henry joined Team Hammer and was trained by Keith Perry to build racing engines and prepare chassis at the shop, while also assisting at the racetrack. Henry is the perfect example of Team Hammer’s ability to nurture talent both on and off the track. Henry moved up to building complete 1000cc Superstock machines in 2008. In 2009, Henry showed his versatility by building engines for both the 600cc and 1000cc programs while assisting at the racetrack. In 2010, Henry was responsible for building and maintaining the #21 M4 Suzuki GSX-R1000 Superbikes, and assisted Crew Chief Frank Aragaki at the racetrack. In 2011, Henry joined Aragaki in the Team Hammer Contract Services department and worked on Danny Eslick’s #69 GEICO Suzuki GSX-R600s in AMA Pro Daytona SportBike. For 2012, Henry continues to build engines and is also working with Aragaki on the #36 GEICO Suzuki GSX-R600 ridden by Martin Cardenas in AMA Pro Daytona SportBike competition. Nathan Raptis has been in and around racing since he was a young kid. As a teenager, Raptis worked as Crew Chief on his father’s sprint cars; he first got involved in motorcycle racing by working on his cousin Geoff May’s racebikes in 2002. That family connection led to an opportunity for Raptis to work on the Team Hammer crew at a few AMA Races in 2005. Raptis made an impression and was signed as a fly-in mechanic working with Geoff May and then with Blake Young. 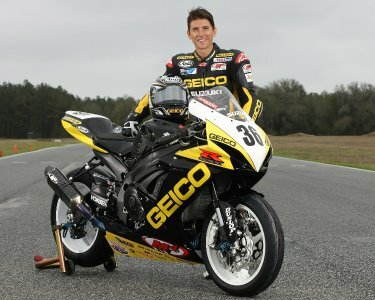 For 2012 Raptis is a mechanic for the #36 GEICO Powersports Suzuki GSX-R600 in AMA Pro Daytona SportBike.